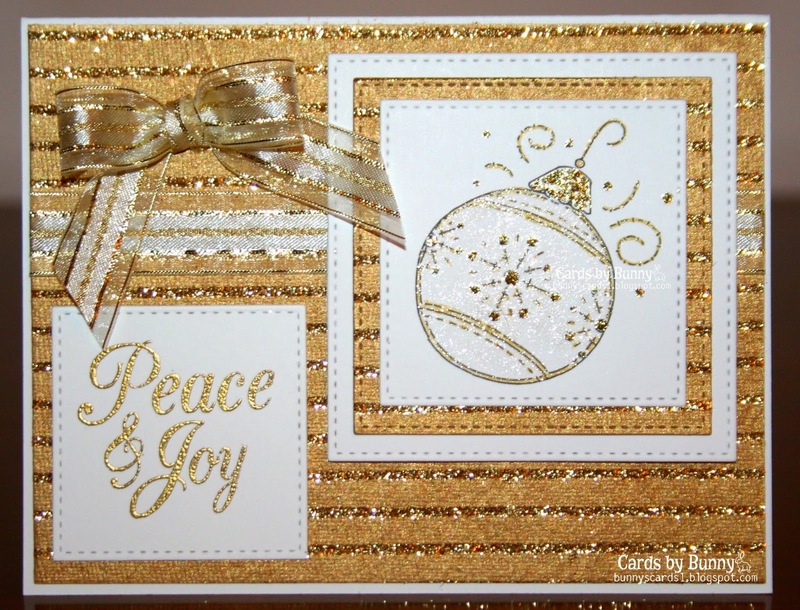 What an elegant Christmas card.Just love those classy gold tones and sparkle.Thanks for joining us at Craft Your Passion.Hope to see you again next time. Gorgeous! I love all that shimmer! Thanks for sharing and joining us at Inspiration Destination. Hope to see you again and good luck! SO Elegant. Beautiful use of gold! Thanks for joining the Meljen's Designs Challenge this week. Especially love all the sparkle! Very elegant card, so rich and I love this bow :) thanks for joining Craft Your Passion Challenge this week! Awesome Christmas card! Love all the gold and sparkles. We are so blessed that you joined our Challenge at Word Art Wednesday last week. We started a new Challenge today and will be delighted for you to come back and link up once more. Leaving you with this encouraging Word of God in Romans 15:4 and it says, "For whatever was written in former days was written for our instruction, that through endurance and through the encouragement of the Scriptures we might have hope." Have a great week.